This was a 2800 sq ft project in the Canyon Oaks neighborhood in Chico, CA. The young couple, who recently relocated to Chico, has a very eclectic taste and urban art collection, which they wanted incorporated in the final design. The work was specific to the redesign of the living and dining spaces, study, bedrooms and lounge. 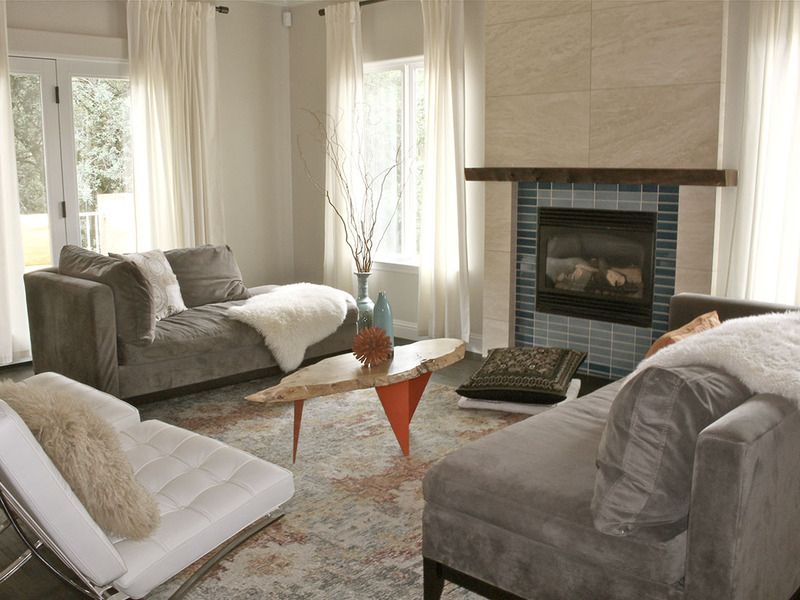 The project included new wood flooring, tile, paint, fireplace wall, a bar and TV entertainment built ins. All rooms were furnished with new furniture, artwork and accessories, all complimenting each other. Handmade tiles were sourced from Fireclay Tiles and wood mantels and countertops where reclaimed orchard walnut. The project was completed through the course of three years.